The British Academy today announces the election of Professor Eleanor Dickey (Classics) a specialist in Greek and Latin linguistics, as a Fellow of the British Academy. Several previous members of the Classics Department have been elected FBA after leaving Reading; Professor Dickey is the third Classicist to have been in post in the University as FBA, the second to have been elected while in post, and the first in the Classics Department to have been so elected. When the Department of Linguistic Science was set up in 1965, the staff consisted mainly of Classicists. The Head of Department, Professor F. R. Palmer, a specialist in Latin linguistics, was elected FBA in 1975. Professor J.N. Adams, now widely regarded as the best living Latinist, was already an FBA when he joined the Reading Classics Department in the late 1990s. Professor Dickey is the first to have been elected FBA while in post in the Classics Department. She is also, together with another newly-elected Fellow, one of the only two current Classicist FBAs in post in any UK university outside the Golden Triangle. Congratulations to Professor Dickey on her notable achievement. 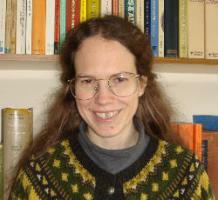 Her colleague, Professor Peter Kruschwitz, a specialist in Latin linguistics, currently holds a British Academy Mid-career Research Fellowship. The study of ancient linguistics is clearly alive and flourishing in Reading!